Today (September 16, 2006) I was naive enough to think I might be able to photograph the Andromeda galaxy (M31) using just the zoom lens of the Finepix 4700. Thus, I attached the camera to the telescope via a self-constructed piggyback bracket. This allowed me to use the equatorial mount to manually guide the camera. After taking 46 images, clouds obstructed the view to the Andromeda galaxy. From the 46 images, 37 were useable. After subtracting a blackframe, I stacked the 37 images together (using the Rot'n'Stack software). Here is the result. 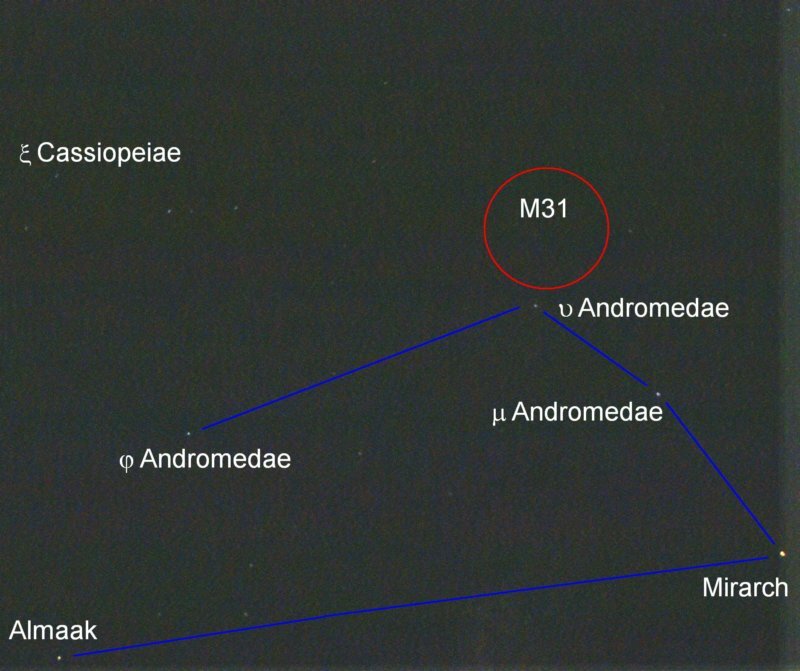 The Andromeda galaxy did not show up. I guess the 3s exposure time of the Finepix 4700 is simply too short. Taken 09-16-2006.